Hi, friends. Today I am sharing one of my favorite recipes for “hot salsa”. I will be honest with you, I am a salsa freak. 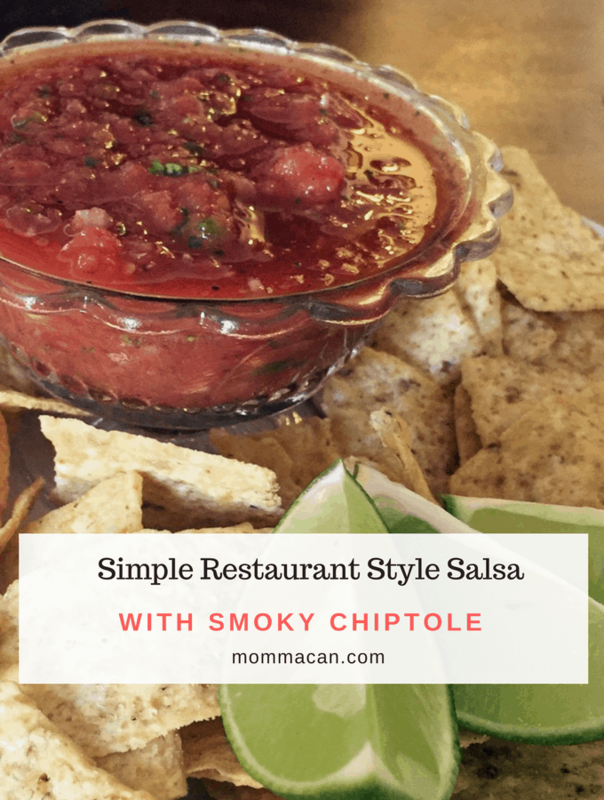 This is a Simple Restaurant Style Salsa Recipe and so good. My mother is of Mexican heritage and I consider myself a real Latin Food Geek. I am incredibly picky about my salsa and learned from the best, my Granny Vega. 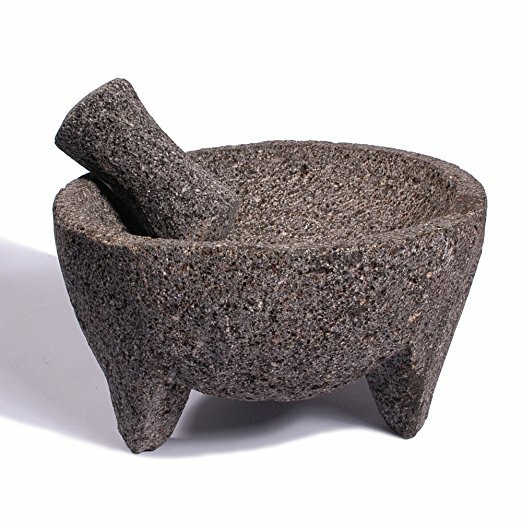 Granny made tomato salsa in a molcajete. It had just three ingredients, tomato, onions, jalapeno, and salt and pepper. If there was fresh lime available it was used as well, but I never saw a drop of cilantro until I moved to Southern California. Cilantro is common in many Restaurant Style Salsa Recipes . When I moved to California I fell in love with local taco shacks, the Mexican grocers, and the flavorful salsas that both offered in many varieties! Many of these recipes have fresh fruits, pickled vegetables , countless kind of hot peppers, and tons of fresh herbs, including cilantro. I fell in love with the bright flavor and had to learn to make yummy Tomato Salsa with Cilantro at home. 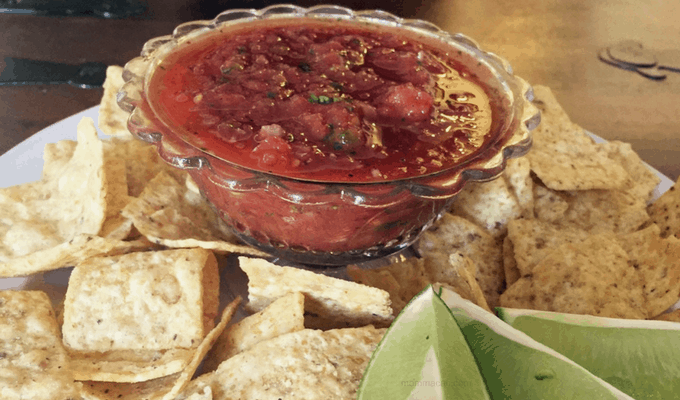 Here is my version of a traditional restaurant style salsa I happily make in a food processor . It has tons of kick, the smoky romance of chipotle and fresh onions and cilantro married in the tangy juice of a lime. 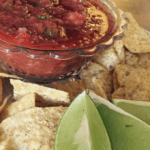 The perfect quick fix restaurant style salsa. Combine whole tomatoes, Rotel, onion, jalapeno, garlic, ground cumin, chipotle powder, lime juice, and cilantro in a food processor. Pulse until you get the salsa to the consistency you love. I pulse four to five times, and then taste for needed salt and pepper, then pulse another four or more until the salsa is the perfect little chunks for crispy tortilla chips. You can freeze leftovers. Thaw in the refrigerator. Serve with chips, over fish, chicken, or steak. Freeze leftover and add to chili for added dimension and yumminess. p.s. I freeze my leftovers and thaw at room temperature. If you like this you may also like our fresh Watermelon Salsa Recipe. 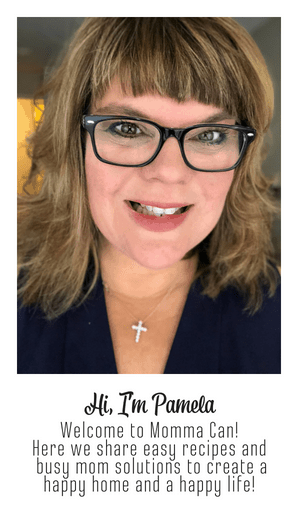 Pinned to my recipe board! Making me hungry! Found you from the pin hop! So glad you got this out before Memorial Day! Going to share with my friends that we will have staying with us at the lake and make some to enjoy! This looks delicious and because you can make it with a food processor its easy. Pinning.